> CHERRY MOBILE TRIPLE SIM Q60 TRYO WITH TV 60% OFF from November 30 to December 4, 2011. 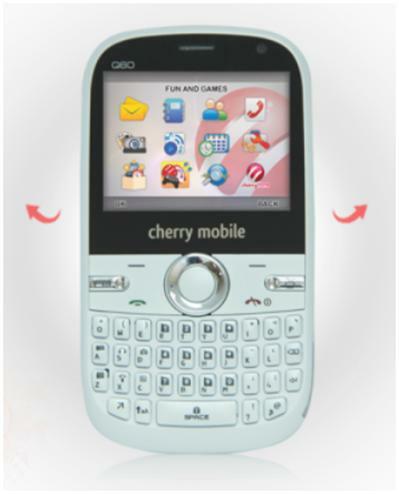 CHERRY MOBILE TRIPLE SIM Q60 TRYO WITH TV 60% OFF from November 30 to December 4, 2011. 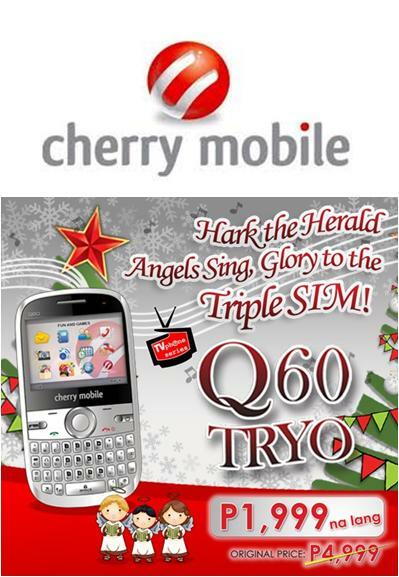 Cherry Mobile Q60 Tryo sale is from November 30 to December 4, 2011. Pay only P1,999 from its original price of P4,999. Valid only for a Cherry Mobile Triple SIM and TV phone, Q60 Try0. Available at All Cherry Mobile Concept Stores and Kiosks Nationwide. Cherry Mobile offers yet another pre-Christmas sale that will make this season truly merry and cherry! With its three SIM slots, you are sure to send a Cherry Christmas Greeting to everyone, no matter what network they may be. Q60 Tryo also has Mobile TV with Recording so you can be updated with your favorite shows all year round. Its dual camera, featuring a 2.0 MP rear cam, lets you snap countless photos at any angle. It’s also equipped with the Cherry Mail service for you to send, receive and forward e-mails directly from your phone.